"It is not in the agenda, only if we get a great opportunity. In early January, they are rare." Bad luck marred the 2016 season for Fortuneo - Vital Concept that had many injuries early in the season. 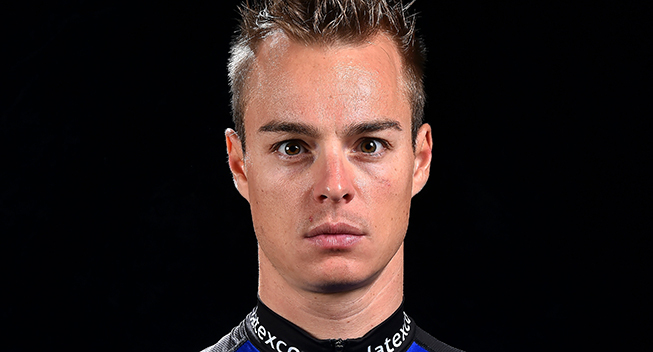 The lack of fortune continued all the way to the end when it was announced on December 30, the birthday of general manager Emmanuel Hubert, that the major new signing, Gianni Meersman, had to put an end to his career due to cardiac arrhythmia. Since then, it has been considered whether the team will bring in a replacement. At the official presentation today in Domaine de Cicé-Blossac, Emmanuel Hubert answered the question in an interview with Le Télégramme. "It is not in the agenda, only if we get a great opportunity. In early January, they are rare," replied the manager. Hubert also explains why we will not see the Breton team at the Argentine Tour de San Juan, whereas last year Eduardo Sepulveda won at the top of Cerro El Amago at the Tour de San Luis in the same country. "Compared to past years, we have changed our early season schedule. Argentina, Gabon and the Tour of Qatar will be skipped as the latter event was canceled. We prefer to focus on the conditions we will encounter in Europe." The goal for the 20 riders will be to perform in Europe, preferably early in the season. With Meersman as a sprinter, Fortuneo had hoped to increase the number of victories. They will have to rely on Daniel McLay who has just celebrated his 25-year birthday on January 3 and who finished third in Montauban at the Tour de France. The team also have added Arnold Jeannesson (from Cofidis), Maxime Bouet (from Etixx - Quick Step), Laurent Pichon (from FDJ), Maxime Daniel (from AG2R La Mondiale) and Romain Hardy (from Cofidis) to the roster. Emmanuel Hubert also wants more invitiations. "We hope to be invited to Paris-Nice, Paris-Roubaix, Fleche Wallonne, Liège-Bastogne-Liège, the Tour de France and, for the first time, the Vuelta a Espana," he says. The team hopes to develop by taking part in La Vuelta and would like to make a similar move to the one made by Direct Energie with Lilian Calmejane who won the fourth stage in his debut grand tour. The team hopes to line up young riders Franck Bonnamour and Elie Gesbert.